Due to its geographical location which is outside the ‘Pacific Rim of Fire’, Singapore is spared from natural disasters such as tsunamis, earthquakes, and volcanic eruptions. However, Singapore cannot insulate itself from disaster prevention and management efforts as it is still susceptible to man-made disasters; which can be in the form of terror attacks or hazmat incidents. The Singapore Civil Defence Force (SCDF), under the command of Ministry of Home Affairs, is the National Authority that will coordinate, plan, command and control all operations undertaken by the various agencies to mitigate major disasters. engaged not only in ASEAN but also on a global scale, and strive to be a leader in disaster preparedness and response practices. Singapore is represented in the United Nations Disaster Assessment and Coordination (UNDAC) Advisory Board and the International Search and Rescue Advisory Group (INSARAG) Steering Group, helping to shape strategies and policies for adoption globally by the disaster management fraternity. The 76-member SCDF Ops Lionheart team is the first team in the Asia-Pacific region to be classified as a “Heavy” Urban Search and Rescue (USAR) team under the INSARAG External Classification (IEC) – the highest classification provided to USAR Teams by the United Nations. SCDF’s Ops Lionheart Contingent had been deployed to 17 overseas humanitarian assistance and disaster relief missions and is constantly on standby to offer assistance to any country which has been struck by disasters such as earthquakes, floods or tsunamis. ⋅ Operational officers trained as ASEAN Emergency Response and Assessment Team (ASEAN-ERAT) that supports the humanitarian assistance and disaster relief missions that are coordinated by the AHA Centre. 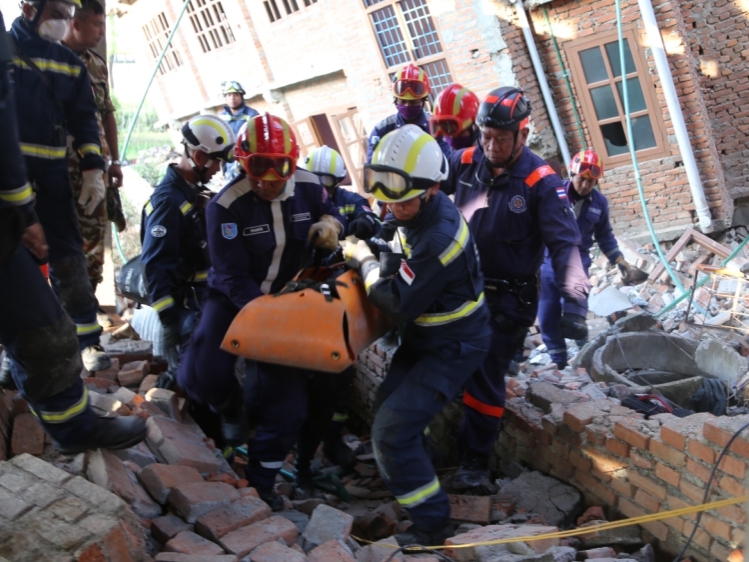 Some of the recent major disasters which SCDF has provided support included the deployment of ASEAN-ERAT for the Aceh Earthquake in 2016, Ops Lionheart mission for the Nepal earthquake in 2015, responding to the Malaysian floods in 2014, the Christchurch earthquake in 2011, APHP support for Typhoon Haiyan in 2013 and UNDAC/APHP support for Typhoon Bopha in 2012. Singapore has also played a key role in the ASEAN regional disaster management efforts. At the regional front, the SCDF serves as Singapore’s focal point for the ASEAN Committee on Disaster Management (ACDM), and a member of the Governing Board of the AHA Centre. Together with Indonesia, Philippines and the ASEAN Secretariat, Singapore was a member of the Task Force set up in 2009 for the establishment of the AHA Centre and played a pivotal role in the operationalisation of the Centre, particularly in the setup of its ICT infrastructure and systems. As co-chairs of two of the ACDM Working Groups; Preparedness and Response with Malaysia and Knowledge and Innovation Management with Indonesia and Viet Nam, Singapore through the SCDF drives several key initiatives under the AADMER Work Programme. This includes the development of ASEAN Standby Arrangements and Standard Operating Procedures, or SASOP, ASEAN Joint Disaster Response Plan, establishment of ASEAN-ERAT, Disaster Emergency Logistics Systems for ASEAN, and developing thought leadership in ASEAN through the hosting of the annual Strategic Policy Dialogue in Disaster Management and the Senior Executive Programme in Disaster Management. Singapore is actively engaged in a range of disaster management activities and shares her best-in-class practices, systems and processes with the international community through overseas exchange programmes, rescue assistance, and the provision of a plethora of training courses in disaster management. 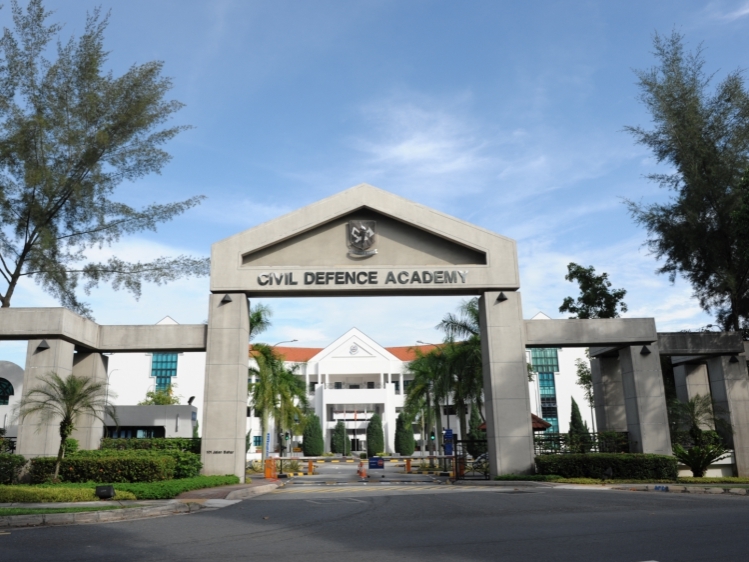 Singapore’s Civil Defence Academy, established in March 1999, conducts a wide range of training for the international community. The Academy frequently leverages on technology and has incorporated the use of immersive virtual technology for decision making and command training. CDA’s flagship programmes include the International Firefighting, Hazardous Materials (HazMat) and USAR courses. Besides training the operational personnel and developing countries, CDA has also been training senior officials at the strategic-level and developed countries through the conduct of courses such as the Leadership Programme in Disaster Management and Disaster Risk Reduction and Response Course.